Dorico is a next-generation 64-bit scoring software for OS X and Windows, designed by musicians for musicians. It redefines the gold standard in scoring software. Its musical intelligence is like having an expert assistant by your side, while its intuitive workflows help you focus on each aspect of score preparation. Dorico’s output equals the finest music engraving, and brings music to life through Steinberg’s award-winning audio engine. 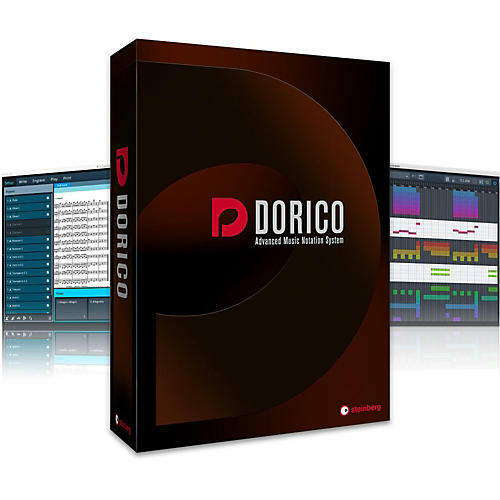 Dorico uses the award-winning 32-bit floating-point Steinberg audio engine with up to 192 kHz and flexible routing for virtual instrument and effect playback, with powerful score management features to handle multiple independent pieces of music within the same project.